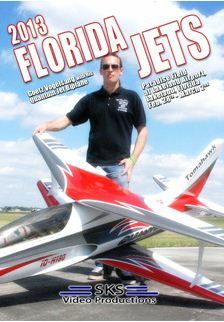 Florida Jets was once again held at Lakeland Linder Airport in Lakeland, Florida, and continues to bring together the hottest pilots and planes from around the globe. This year’s show featured many of the top pilots demonstrating the latest in jet technology. Goetz Vogelsang debuted two aircraft, a large BAE Hawk and a Quantum Jet Biplane. Rod Snyder showed off his classic JMP Hustler and David Shulman demonstrated the new Aurora. Ali Machinchy flew no less that three aircraft at this year’s show – a twin turbine F-14 Tomcat, a thrust vectoring F-22 Raptor and a jet powered ASK 21 glider. Lowell Wexler had the new Fly Eagle Jets Vampire while Gerardo Diaz campaigned his Skymaster Cougar. Other aircraft featured on this video include two F4D Skyrays, several BAE Hawks, an F-15, F-86, Two Hawker Hunters and even a ME162 Comet. Plus, inflight footage from four different aircraft!